I should have been excited. It was a crisp, sunny Saturday in San Diego and I was headed to a workshop on leadership. I was going to be outside, hanging with several friends and a few horses. All of the ingredients for a spectacular day were there…except one. I hadn’t slept the night before. I was tired and feeling superbratty about it. The workshop included equus coaching. 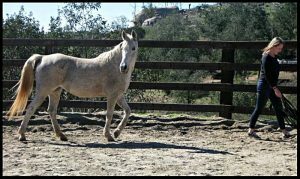 This means that I was in a round pen with a horse named Krystal and it was my job to establish myself as a trusted leader. A horse is a prey animal and; therefore, is incredibly sensitive to her environment. A horse doesn’t understand English, so she relies heavily on non-verbal cues. 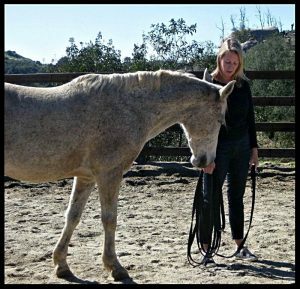 And because 93% of our communication is non-verbal, a horse can provide immediate feedback on how effective (or ineffective) our non-verbal communication is. Basically, horses are natural lie detectors. If I’m sending mixed messages, Krystal won’t view me as a leader. To gain her trust, I have to be clear and honest — if only to myself. I used to think I needed to be peaceful and grounded for a horse to come near me. In actuality, I only need to tell the truth. And that truth doesn’t have to be pretty. I started to walk around the pen and thought about what was true. “I’m tired”, I said in my mind. And then I thought “…and I don’t want to be.” Krystal began to follow me as I walked. I hadn’t said anything outloud. I wanted to keep the connection going so I thought about what else was true. “I’m angry…and I don’t want to be.” Krystal continued to follow me. Now that we were bonded, I stopped in the center of the pen and she stood right next to me. While I was petting Krystal, one of the human workshop leaders asked where in my life I was experiencing tension or frustration. “I have a lot of ideas for my business and I want to do them all, but I can’t seem to get them done.” As soon as I said those words, Krystal moved as far away from me as she could. I actually thought I was telling the truth. But Krystal let me know that some part of my statement was a lie. From her perspective, my communication was incongruent and I could no longer be trusted. I now had the opportunity to examine what I’d said. What part was a lie? Yes, I do have a lot of ideas for my business. And no, I don’t want to do all that is required. Oh, there it is. The action steps were clear and I knew how to do them…and I wished someone else could handle it. I mean, who wouldn’t want to delegate the un-fun tasks?! But HOLD UP — that’s not the point. Here’s the point: Even a tiny, silent lie has an effect. Whether we’re aware of it or not, we humans act like horses. We get confused when communications are incongruent. When we experience mixed messages, our interactions can feel “off”, unstable or unsafe. And the connection between you and the other person is lost. This dynamic also works in reverse. Anyone can be a “horse”….your boss, sweetheart, child, mother, etc. Where in your life are things not clicking? Perhaps you’re sending mixed signals. Simply ask yourself, what is true? If you bump into an unexpected lie as I did, see if you can uncover the real truth. I’m not suggesting that you launch truth bombs in the laps of everyone you know. Instead, just start to tell the truth to yourself more often. If you’re aligned with the truth and clear about what you want to happen, other people will feel more comfortable around you. There will be an ease and flow in your relationships. Plus, YOU’LL FEEL SO MUCH BETTER! When you’re integrated, inner tension dissolves and it’s replaced with strength. The truth can act as a compass, guiding you to a life of integrity and authenticity. And that’s where real leadership is possible. 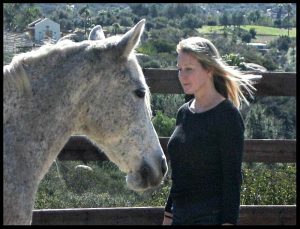 If you want to learn more about how horses can change your life, check out Koelle Simpson’s TEDx talk and Martha Beck’s article, Horse Sense. 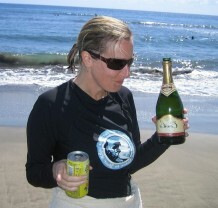 I have LONG wanted to work with my friend and fellow master coach, Jackie Gartman. And we finally found our thing!! 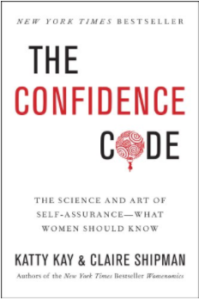 We are hosting a book club for The Confidence Code — The Science and Art of Self-Assurance. Yes, it’s an art! The book is smart and funny…just like us. The Confidence Club starts April 18. Join us! It isn’t that women don’t have the ability to succeed; it’s that we don’t believe we can succeed and that stops us from trying. 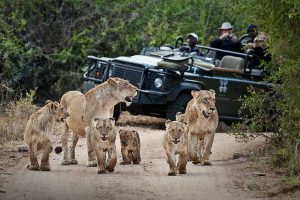 And if you’re ready for some WILD magic, I hope you’ll join me for DAMN THIRSTY ADVENTURE CAMP, Safari Edition! Yes, it’s ALL THAT plus life coaching. Together, we’ll track what’s next. This entry was posted in Inspiration, Wisdom. Bookmark the permalink.